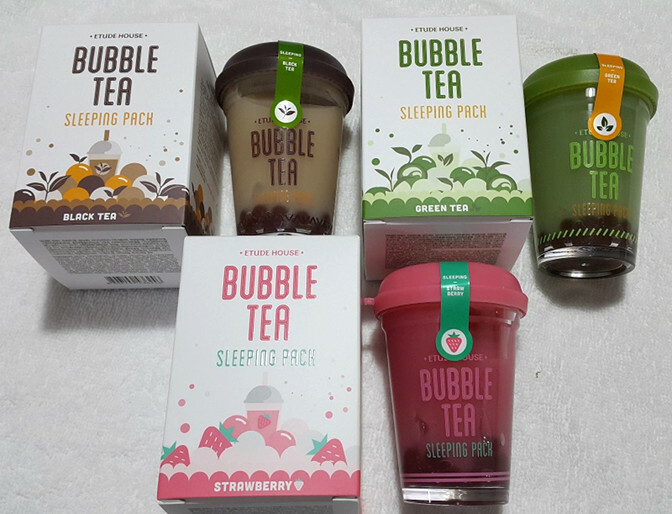 Etude House Bubble Tea Sleeping Pack | Memorable Days : Beauty Blog - Korean Beauty, European, American Product Reviews. Etude House always creates adorable packaging and they do it again this time. 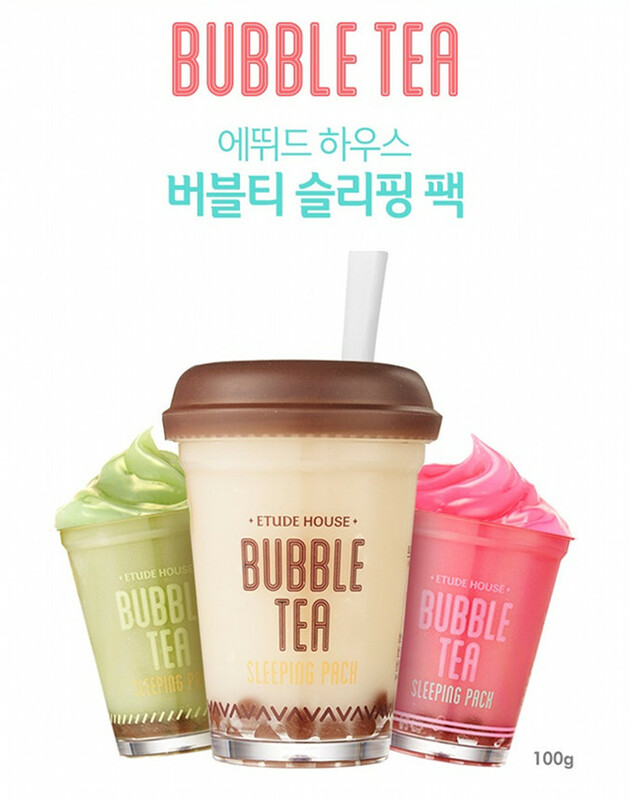 They just released a bubble tea sleeping pack in green tea, strawberry and black tea. 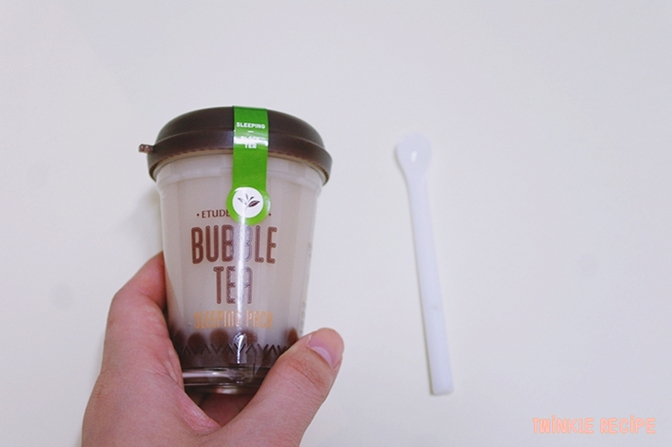 The packaging is to die for, it even has those tapioca pearls in it and a little spoon as applicator haha. I have no idea if it's good, but I want to buy it already just because of the packaging. All three delivers moisture into the skin, the tapioca pearls includes moisturizing ingredients which makes your skin even more plump. More details in today's blogpost. 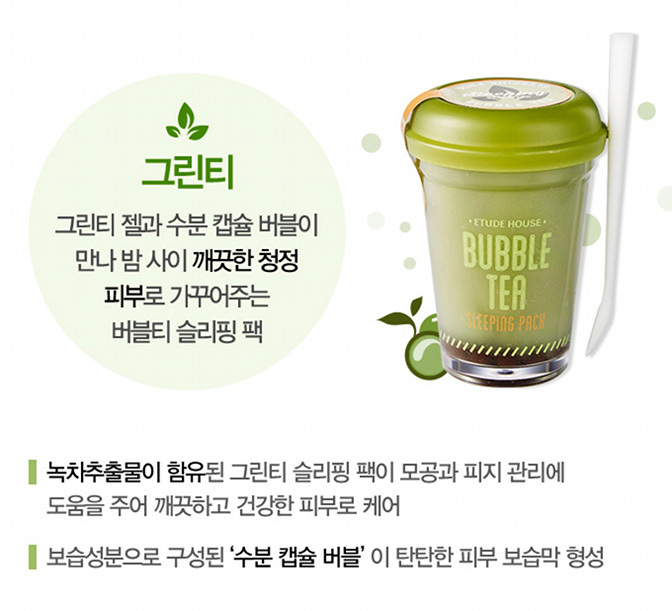 The bubble tea sleeping pack in green tea takes care of pores and excessive sebum. The strawberry version is more for people with a dry skin, since this version includes more ingredients that makes this mask moist. The black version improves the elasticity of the skin. 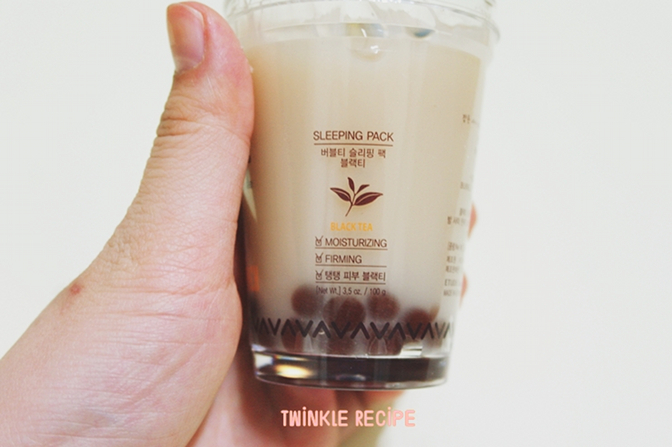 Use the small spoon/spatula that is included and apply some mask and 1-2 tapioca pearls onto the palm. 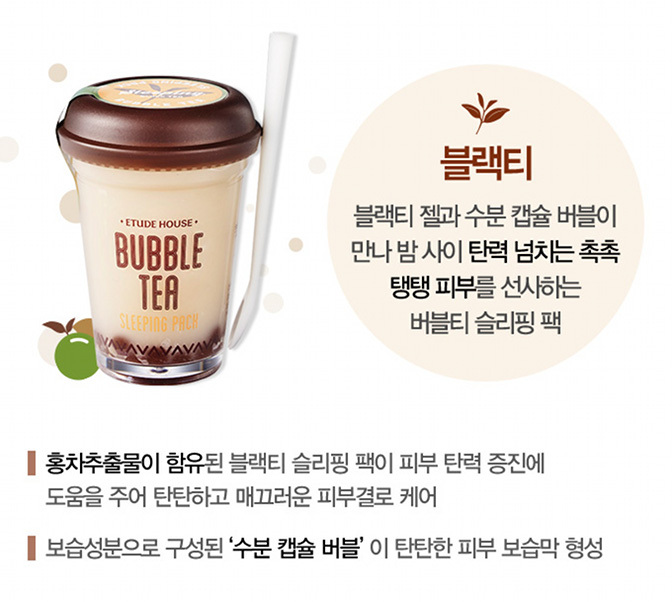 Gently make the bubbles flat with the spatula and mix it with the mask. Apply evenly onto the skin while massaging the skin. Leave it overnight and wash off with lukewarm water the next morning. This product has just been released so it's not sold everywhere yet. 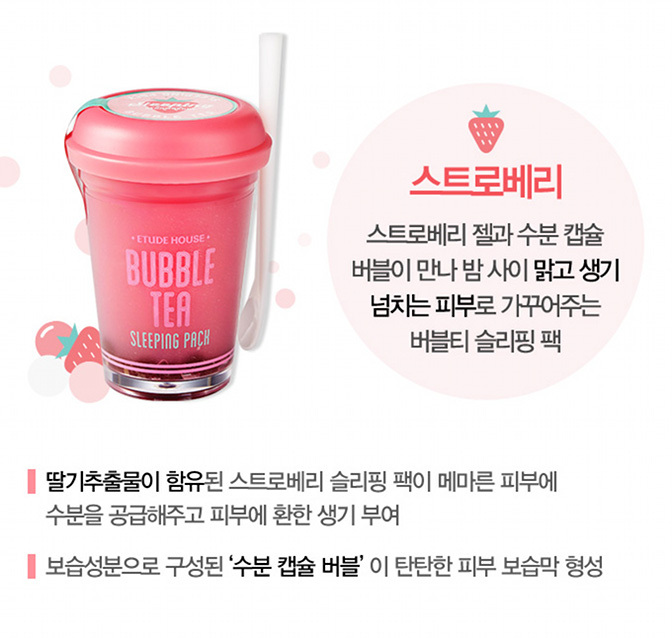 However, you are currently able to purchase it at kpoptown.com, at Ebay seller etudehouse2012, Ebay seller biz-inside and it's sold in the Etude house stores in South Korea.